Vanagon is the North and South American name for the third generation Volkswagen Transporter Type 2 van. This boxy yet angled van has all the looks of a VW with a flavor of the 80s. The T3 was a larger and heavier continuation of the “Bay Window Bus” before it. Although it was primarily provided internationally for 80s model years it was made for official use (Postal Service / Army) in Germany until 1992. 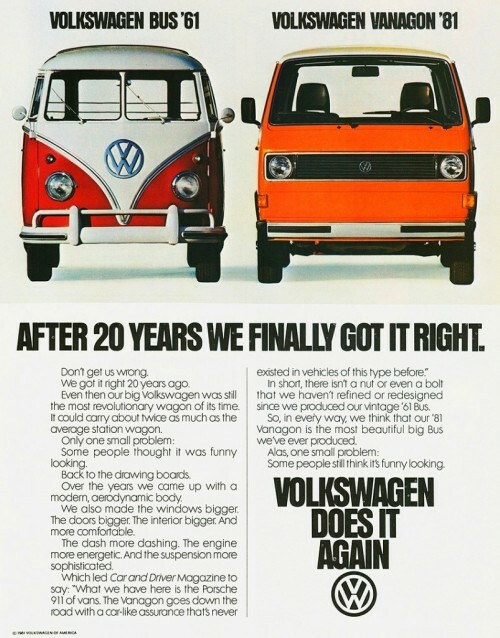 It was also manufactured in South Africa as the “Microbus” until 2002 for that market specifically. Those versions of the Vanagon are also unique because they featured Audi five-cylinder engines, larger side windows and other visual differences. The Vanagon was an immediate follow-up to the Transporter Type 2 (T2) and was first released for model year 1980 worldwide. Unlike previous versions the Westfalia Camper variant was introduced by Volkswagen at the beginning of the generation and marketed throughout. Key features of the Westfalia trim are a pop top, refrigerator, sink and stove. Key items that set it aside as a true Class B Motorhome. 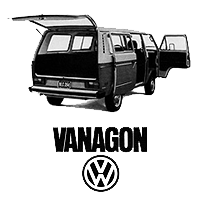 Early model Vanagons feature air-cooled engines and bare bones accents. Throughout the generation various cosmetics were included such as a tachometer, fabric options and more. Water cooled motors and more advanced engine management systems were also introduced along with an optional syncro four-wheel drive. Towards the end of the Vanagon’s life a luxury Carat trim level was introduced which included all available options minus Westfalia camping features. A take on the Carat called the B32 limited edition made by Porsche, featured a 231 PS (170 kW) 3.2 liter Carrera engine. Only 10 of these were ever made. Another unique version called the WBX6 developed by Oettinger included a six cylinder engine derived from the “Wasserboxer” motor. Imports of the Vanagon were discontinued for the US & Canada in 1991. It was replaced with the Transporter Type 2 (T4) also known as the Eurovan in 1993. Although there were no standard 1992 VW Vanagons produced there were some custom camper versions made by third party manufacturers based on the Vanagon body and frame. 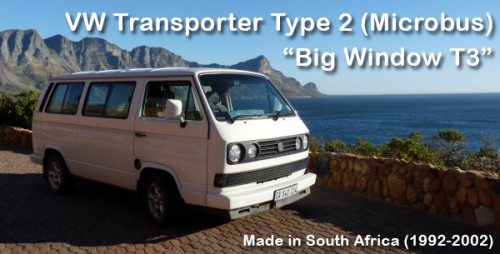 These later South African Vanagons are known as the Big Window T3’s due to the larger side windows. They feature 5cyl Auti engines in the Microbus and Caravelle trims while Kombi and Van models retained the 1.8L inline-four cylinder. Towards the end of the Vanagon production in South Africa a unique half camper model called the Exclusiv was introduced that was a Caravalle trim with a 2.6i (ADV) 100 kW engine, two rear facing seats instead of center bench seat along with a fridge and folding table in the back.